Borah Lodge offers superb self catering accommodation close to the village of Lamorna, near Penzance in Cornwall. The self catering lodge offers top quality accommodation in a great location, close the beach and local amenities. Sleeping up to two people, Borah Lodge is the perfect place to stay for a romantic break. Inside you will find a double bedroom with an en suite shower room, a living room with dining area & a compact but well-equipped kitchen. 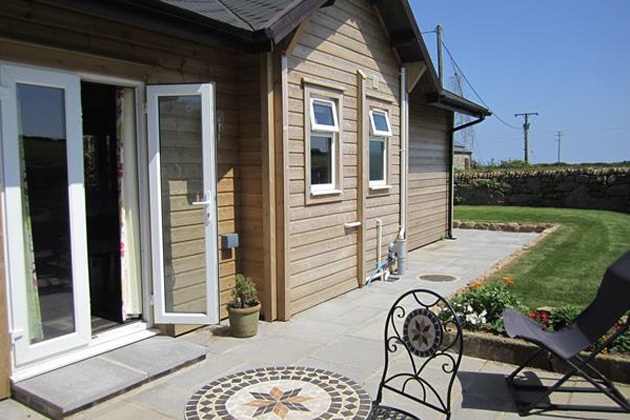 In the garden there is a private and luxurious hot tub, sun loungers and barbeque facilities. The lawns spread around the whole of lodge meaning you have plenty of space to relax. Cornwall is a popular holiday destination that has a lot to offer. Guests can enjoy fishing, golfing, horseriding, sailing, surfing, walking, cycling and much more. If an active break isn't for you, there are many unspoilt beaches where you can relax and paddle in the sea.